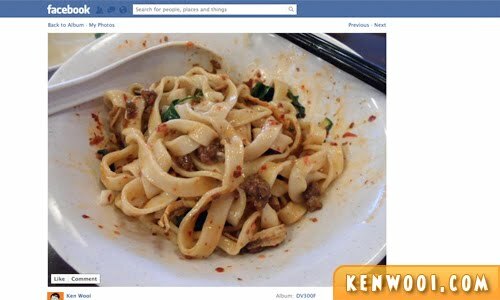 Let’s face it, we Malaysians love to eat, and also… share photos of what we’re eating on the Internet. It’s now a widespread occurrence within our community. People snap photos of their meals and upload them to social media sites so effortlessly. 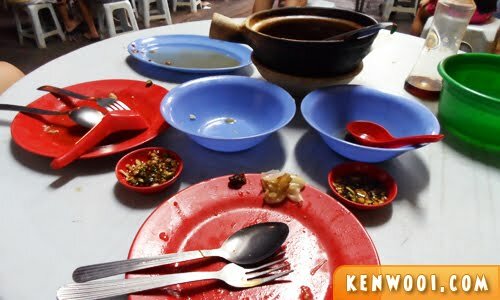 Anyway, the point is – whenever food is served, many of us would first snap a photo, upload it (via Facebook, Twitter or Instagram), and THEN only begin to eat. It’s like a habit… an unusual habit which turned usual, I must say. But I always wonder, does anyone actually care what you had for lunch? Oh, it’s not just lunch. The question refers to all types of meals – breakfast, brunch, tea-break, dinner, supper and after-supper supper. Even snacks too. Seriously, do you think people are interested in what you’re eating? Well, I don’t normally upload photos when I’m dining. 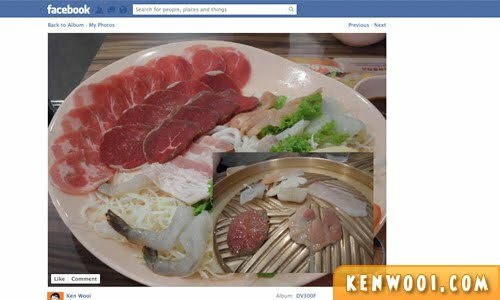 But, I recently did a quick experiment on Facebook – I uploaded photos of certain food that I had. First one – Jojo Little Kitchen’s Pan Mee. With over 600 friends on my Facebook, only 2 friends “liked” it. That’s all. Everyone else, sadly, don’t care. Wendy’s – no reaction whatsoever. 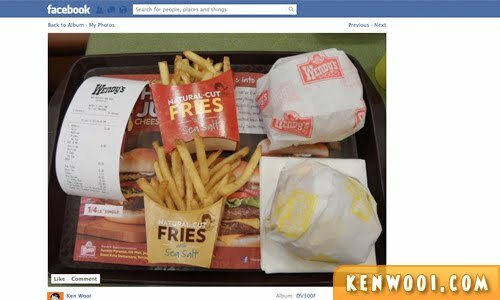 It goes to show that nobody cares about the photo with 2 sets of burger and fries. A photo of the mixed set at Bar-BQ Plaza. Once again, nobody liked or commented. Maybe the photo isn’t attractive and artsy, but it’s not from Instagram mah. Anyway, with 3 results obtained, it concludes that… nobody cares! Now, you may disagree with the experiment’s result because your photos can get a lot of likes and comments. Woah, bravo… so cool huh? Here’s a quick question – do you think they REALLY care? 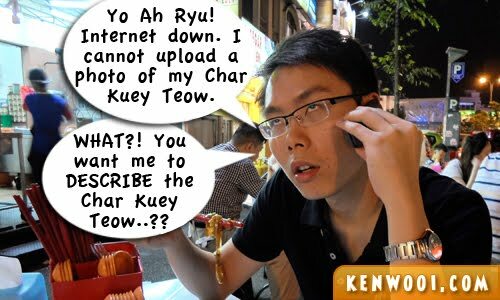 As in, IF you decide not to upload photos of your food, will they scream “Y U NO UPLOAD FOOD” at you? No? Case in point – no one cares what you had for lunch. Perhaps you should stop tweeting about your meals, you culinary paparazzi. I will feel very sad when nobody like my pic haha! HAHAH! yes true. I also dont care. it only achieves in making me feel hungry and a little disgruntled. I agree with the topic of this post. Besides, it’s better not to get any LIKES. If not, you will feel obligated to check out the photos of those who LIKED your food photo and then force yourself to LIKE their food photos too haha! LOL! But I still love to upload food photos online just to make some people crave for food I had! lol..this is so true..but for me i upload juz because i want to make my fren hungry..jahat kan heheh..
Not very active on Facebook. But I do find photos of food interesting. Especially when taken to lOok really nice. Would love to read the descriptions associated with the photos too. Can learn new dishes! why I didn’t see u post any food photo in FB? I think I’m in ur friend list kan? I only upload after few day! 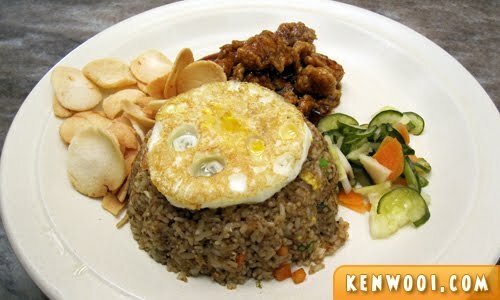 I love uploading pic of the food that I eat and I don’t care whether my friends care what I’m eating or not. It’s just a personal journal for me. I am guilty of this! But sometimes i am able to discover new food places through food pics my friends uploaded and vice versa, so I guess something good does comes out of it… or not. haha. oi pls like my lunch pixxxxxxx! sometimes, somebuddy does care geh. Well they really should stop posting up their meal photos so that when people bump into each other, there’s something to ask. Honestly if you count whether someone likes your post by how many LIKES you got, thats narcissistic. People see but doesnt mean they LOVE it so much to like it. They just glance through. Same with this blog. Not everyone all the time comment on it. Although this blog is your view. but cornering ppl who do post food pics is a bit off . For some cars is their passion and some food. Nothing wrong. 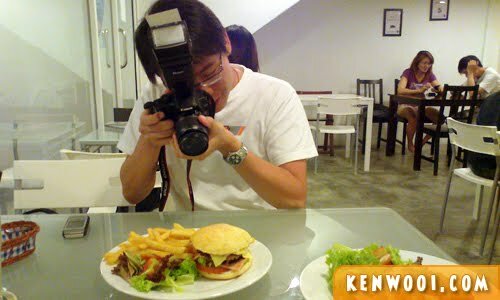 yupz..ken just write it for entertainment purpose but at the same time he does have a point – that is it has become a habit for people to snap photos of the food before eating. And this post actually makes us think? why are we snapping it anyway? Well, from the comments, seems like everyone had their own reasons – for remembrance, show off, fun, and passion for food. i just wondering if they knew that posting ‘food picture’ will make others starving…? ?are they so happy knowing that people starving looking their ‘so happy lunch this food’ picture?? do they really think people will like it?huhhhhh..actually every single day,my friends posted ‘burger bakar’…why?is that so fascinating? Haha it’s true but I still love to take pictures of food. That’s my hobby!! I only take pictures of expensive foods… come to think of it, that’s a lot of food! LOL. btw, Armstrong here. We met at the blogopolis. It was an honour to meet you ;) and maybe if u bought a smartphone already, things will change with your choice of subject… wakakaa. But your food photos are ugly! That’s why you’re not getting “Likes”. I’ll help you cheat, ok? Download Instagram or Photo Wonder and put a filter on it. That, or become a hot girl. Hot girls get a lot of FB photo “Likes”. 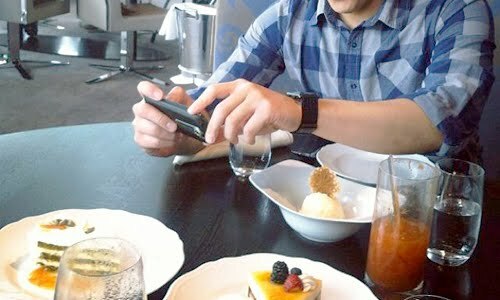 When I go out with my colleagues, they would be busy clicking on food photos instead of connecting and relating. But with get-together with long time friends, we just talk about our lives- even though they are avid FB users, they were not busy snapping photo pics.